Activism, broadly defined as intentional and public provocation of behaviors and ways of thinking about social or political change, is embedded in the conceptual foundation of the memorial museum. The genre is distinguished among museums by its aim to commemorate ‘victims of State, socially determined and ideologically motivated crimes’ (International Committee of Memorial Museums in Remembrance of the Victims of Public Crimes n.d.). Connecting historical sites and survivor or victim communities, memorial museums often explore history through discrete places and people, query how states justify and enact violence, and provoke connections to political engagement today. 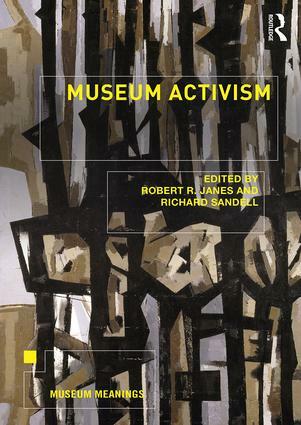 But merely stating that memorial museums address social or political issues is different from analyzing the tenor of that activism, which can challenge or reinforce existing political hierarchies (Brett et al. 2007; Brown 2013; Rieff 2016). Adapting Tony Bennett’s (1997: 24) discussion of the techniques of power at play within public museums, I argue that understanding the activist potential for memorial museums is best pursued by disaggregating and analyzing three tensions inherent in the form: how a specific institution is constructed as a social space in relation to political narratives; what are its modes of representing history; and how does it envision a relationship to community through the performance of the tour. Each of these areas can be politically conservative or oppositional, democratizing or centralizing power, and the impact of any one does not necessarily reinforce that of the others. Activist potential emerges from tensions between these areas, within a specific moment of time, shifting as debates evolve. The very transient character of debates, however, renders the museum a particularly potent vehicle through which to examine memory politics, as the practices that define museums are predicated on enduring physical presence, even as debates change. In this chapter, I analyze one such institution, the Red Terror Martyrs Memorial Museum in Addis Ababa, Ethiopia, which provides a distinct lens through which to examine the activist potential of the memorial museum.